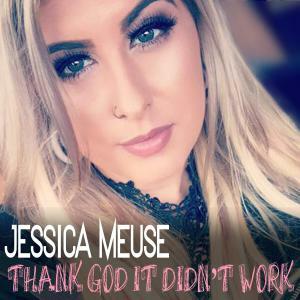 New single release by Jessica Meuse being serviced to country radio. 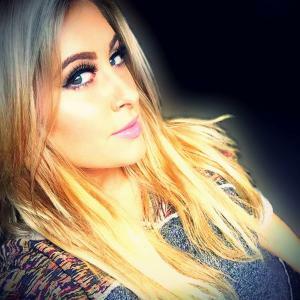 NASHVILLE, CALIFORNIA, USA, July 13, 2018 /EINPresswire.com/ -- Country artist Jessica Meuse is releasing her original song, “Thank God It Didn’t Work,” today from her forthcoming August 3rd album, “Halfhearted.” The single is being serviced to country radio stations and a new lyric video has just been released. "One of the songs I’ve been focusing on is 'Thank God It Didn't Work' which is my very first co-write (with Kelly Walls and David Norris of Nashville, TN),” said Jessica. "It’s a big powerhouse song, both vocally and lyrically, about everything in life that didn’t work out and it actually ended up being a good thing. It’s a pretty deep message and I am beyond excited to see what the public’s response will be. For this song, I really channeled into the 90s country vibe I grew up listening to...that Martina McBride vocal power. It’s one of those songs that, when you finish writing it and play it through for the first time, you just shake your head and say, 'Yeah, that’s the one.’"
As “Thank God It Didn’t Work” is being released, Meuse’s upcoming “Halfhearted” album continues to be a top iTunes Country Pre-Order and her songs are appearing in Apple Music Country Hot Tracks. Jessica's ongoing schedule has her traveling around the country with a string of festival tour dates and radio/tv appearances slated through the end of 2018. "The entire process for Halfhearted has been an amazing adventure so far — one that’s led me all over the country, to several places I have never been,” related Meuse. "My team and I are now preparing for another full band concert at Three Rivers Regatta in Pittsburgh on 8/5. I couldn’t be more excited to see another new place and more of my MuseMafia fanbase! In between these larger festival shows, I’ve been doing a lot of radio tour and press to promote ‘Halfhearted,' which is completely new territory to me." Jessica Meuse is an American performer from Slapout, Alabama. She has wowed audiences since the age of 10 and plays several instruments (guitar, piano, and classical violin). At 20, Jessica won the statewide artist showcase, Stars of Alabama. A spot on Season 3 of NBC’s The Voice followed, where she made it to the blind auditions and was on Vans Warped Tour. In 2014, Jessica was selected by American Idol’s Keith Urban, Jennifer Lopez, and Harry Connick, Jr., for Season 13 of the TV series where she rose to be a Top 4 National Finalist, subsequently touring across the USA and Canada. Currently, Jessica is signed to L.A. Entertainment, Inc.’s management division, LA Group Management, and she dedicates time to raising awareness about Domestic Violence, Cyberbullying, Children’s Cancer Association, St. Jude, and other organizations, while continuing to record and tour.